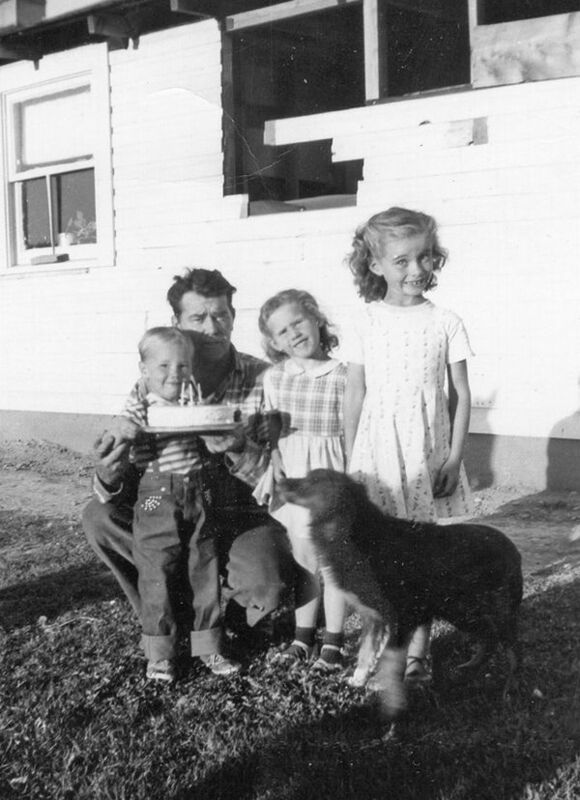 When I was six years old, 1950, we lived on an island in the middle of the mighty Snake River near Ontario, Oregon. At six, I was going to the first grade. But there was a huge hurdle I had to walk every day to go meet the school bus. There was a huge train 3-span bridge stretching across the Snake River. And I had to walk it. I don’t know if you can imagine this but my Scorpio mother taught me how to walk across it BY MYSELF after she showed me how to do it. There was a big problem: I was dizzied by the brownish/green water far below me if I looked down. And I’d lose my balance. The chances of me falling off the bridge were very real. Consequently, I learned to walk those trestles above the water WITHOUT LOOKING DOWN, which increased exponentially, my miscalculating and stumbling and thereby, pitching off the bridge, falling into the water and drowning. Even at five, I understand all of that! In 1950, there were no safeguards on bridges for anyone, much less a 5-year-old little girl. My mother worked, so she too had to walk across that bridge twice a day, too. She would park our car on the bank, near the bridge, and walk across to our home on that island. She taught me that if a train came? I was to lay down in the middle of the tracks, flatten out and keep my arms and legs within the rails while the train passed above me. That way, I’d survive. Otherwise, I wouldn’t. Now, it’s 2017. Can you imagine ANY mother doing that nowadays with a 5-year-old, much less a child of any age under 18? I’m sure you wouldn’t. She did NOT accompany me across the bridge after that—I was on my own. She was already at work and couldn’t do it even though she wanted too. My stepfather was too injured from the war to do much walking, so that was out, too. BUT….we had Blackie, an older Border Collie, who we found on the island when we moved into the house. He adopted us. And he would accompany me to the bridge, stand watch, but not go across it because he was frightened of it, too. So was I. My greatest fear was not hearing a train coming behind me and then having to do my safety thing to survive it. That scared me more than walking across the three-span bridge. Blackie would then meet me in the afternoon when the school bus dropped me off and I had to walk the bridge to get back home. I loved that dog with my life. He sensed how frightened I was of that bridge, sensing that if I looked down, I’d get dizzy, lose my balance and fall in and drown in the Snake River. He was my guardian. I wanted to write a book about a Border Collie based upon my childhood experiences with Blackie. I wanted to honor him and his breed. 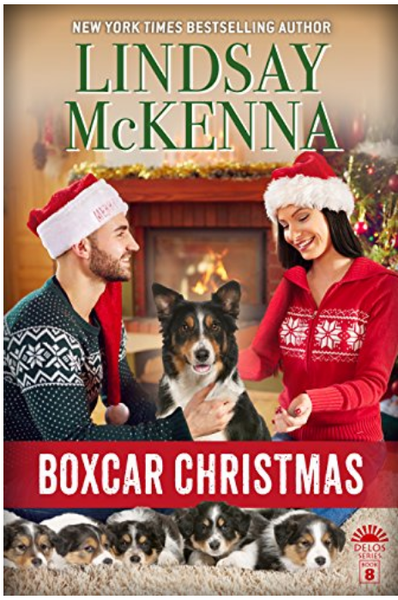 So, there’s lots of wonderful emotions I was able to write into BOXCAR CHRISTMAS and I know my readers will feel it as they read Freya’s story of survival. And how she helped her 2 humans immensely and in important ways after they rescued her. I went through a LOT of stock photos to find Blackie. I wasn’t sure I would, but as luck would have it, I did. And now the Border Collie on the book’s cover looks EXACTLY like my beloved Blackie. Every time I see that cover, I smile and my heart expands with love for my guardian angel dog who met me every day for a year when I had to walk that train bridge over the Snake River ;-). Travis Ramsey is back in Hamilton, Montana, after 10 years serving as a Delta Force operator in Afghanistan. Now responsible for his dad’s fishing guide business, Travis has to deal with his increasingly distant and difficult father, and guilt over his brother’s death. His life takes a turn for the better when he meets Army vet Jesse Myers. Jesse is taken with his grandparent’s quirky boxcar cabin and wants to rent it. Taken by her beauty, and the familiar haunted look in her eyes, he makes her a deal. He will rent the boxcar to her for free in return for her help in making renovations.